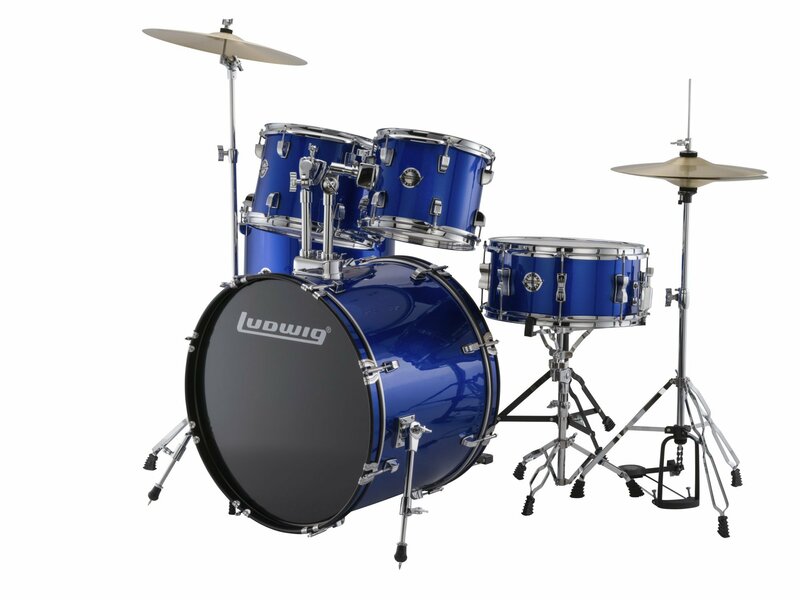 Ludwig Accent Drum Sets include stands, pedals, a seat, and cymbals - everything you need to set up and get playing besides a pair of sticks! These drums are made for brand new drummers who want a good first instrument at a very affordable price. The shells are made from nine plies of poplar wood enhanced with reinforced seam molded acrylic. They're durable, punchy, and powerful. 45-degree bearing edges on the top and bottom of each shell make tuning easy. The size of the drums in the Fuse configuration are on the slightly smaller side, designed for drummers interested in jazzier genres and/or younger players.